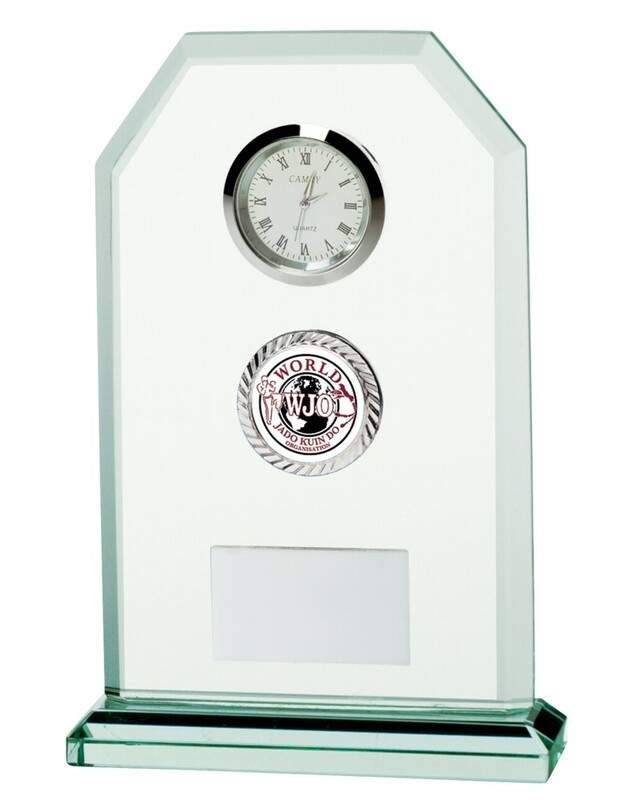 Jade Vitoria Glass Clock Award. Measuring 160mm high, very stylish award. Add a 1 inch centre for your club badge, logo or a standard 1 inch centre. Engraved plate included in the price.